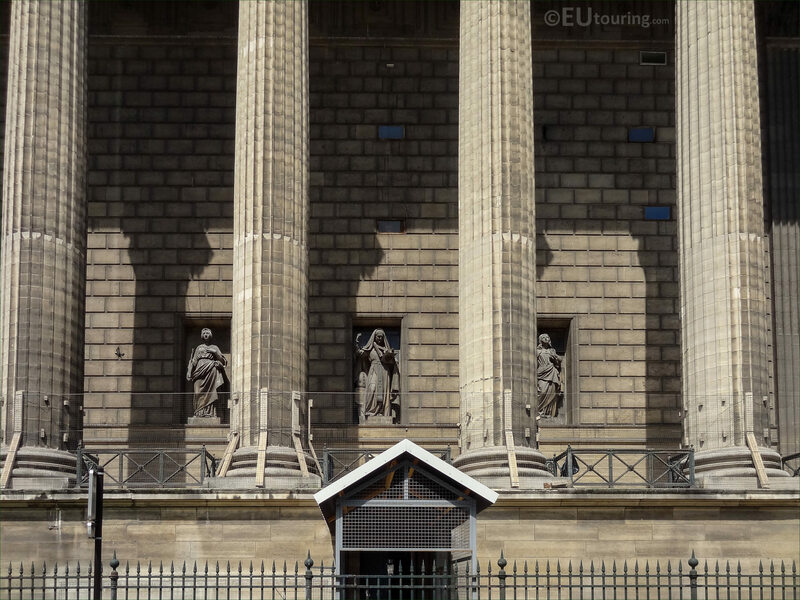 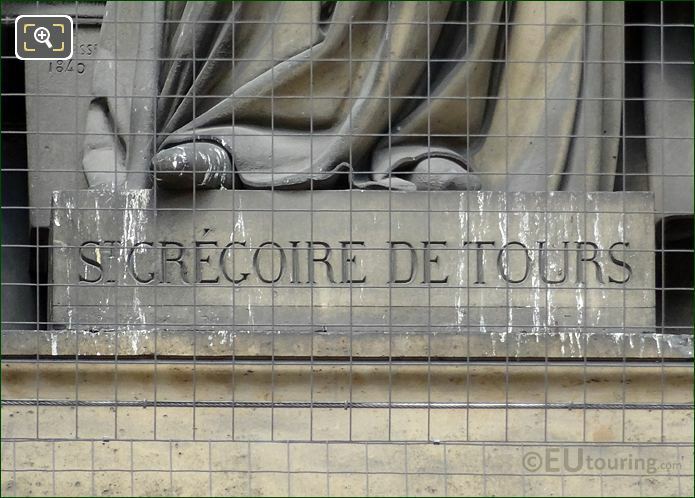 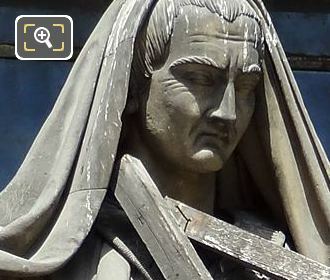 We were in the 8th Arrondissement of Paris at the Eglise de la Madeleine, when we took these high definition photos showing a statue of St Gregoire de Tours, which was sculpted by Victor Therasse. 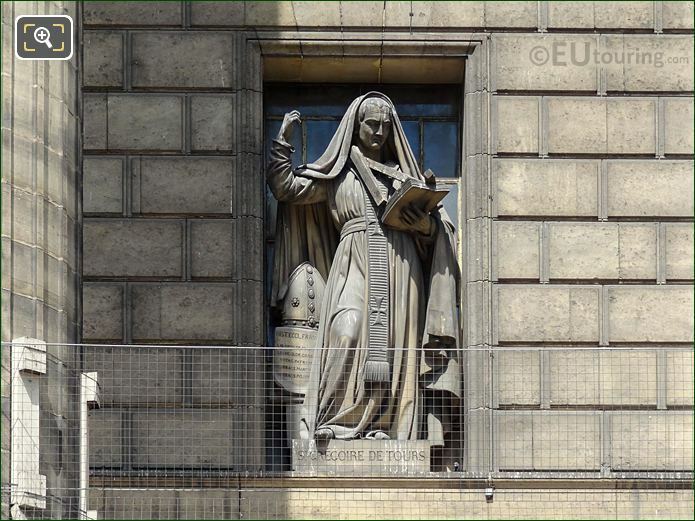 This first HD photo shows the statue of St Gregoire de Tours, which in English translates to Saint Gregory of Tours, and this was produced in stone for the facade of the Eglise de la Madeleine by Victor Therasse who was born in Paris in 1796 and studied at the Ecole des Beaux Arts to become a French sculptor, receiving several notable public commissions for statue and busts of famous people. 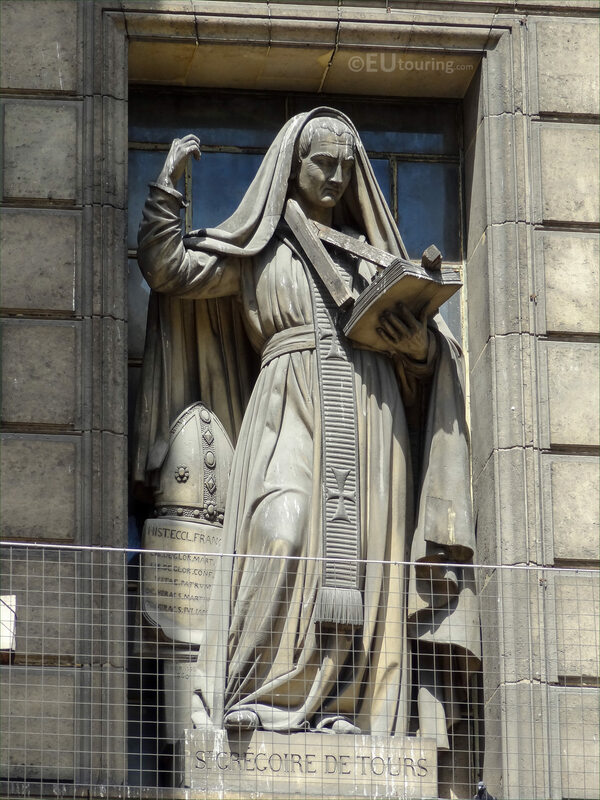 Saint Gregory of Tours is depicted holding a book and being a historian he wrote many books, becoming the contemporary source of information on the Merovingian history plus of great historical interest for the transition period from Roman to Medieval, yet he also wrote accounts of the miracles of saints including Saint Martin of Tours and twenty hagiographies that were biographies on the lives of bishops, abbots and other prominent men. 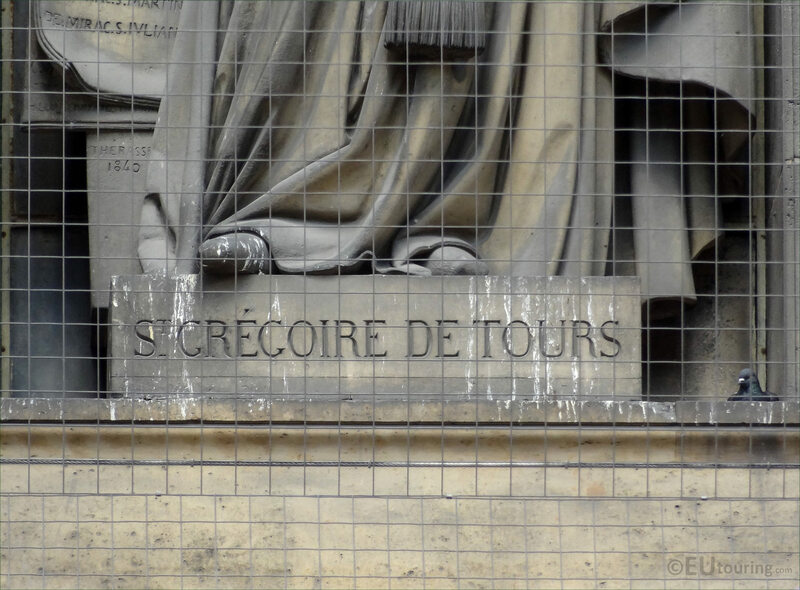 Yet here you can see a close up photograph showing the pedestal base of the statue with the name of St Gregoire de Tours inscribed on it and spelt the French way, and although he was originally born with a name of Goergius Florentius, upon his ordination he took the name of Gregory after his great-grandfather and was Bishop of Tours for around 20 years. 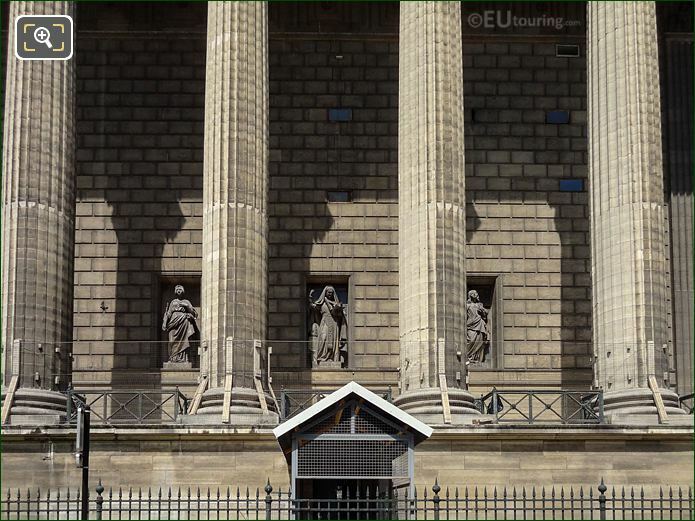 You will find that there are actually thirty-four statues of saints on the Madeleine Church, which were sculpted by different artists, and here you can see the Saint Gregory of Tours statue by Victor Therasse positioned within a niche on the portico, which can be seen by looking between the Corinthian columns from the Place de la Madeleine.